This book will help you! 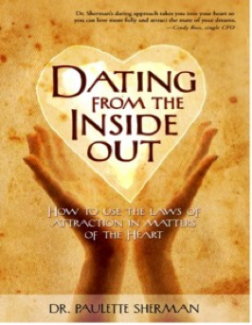 - Joe G.
Dr. Paulette Kouffman Sherman is a licensed psychologist, Relationship expert, certified life coach and is the author of, Dating from the Inside Out, published by Atria Books, the upcoming, Marriage from the Inside Out and 21 others. Her books have been published in 7 languages and have won fourteen book awards. 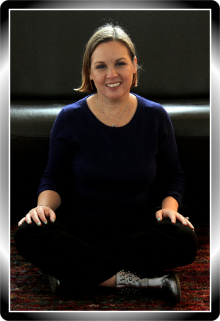 She has a private psychotherapy practice in Manhattan and does Relationship phone coaching. She has twenty years of experience as a psychotherapist, was an adjunct professor at two universities and writes a monthly column for Eligible Magazine. She’s an online instructor with close to 2000 students from 108 countries on Udemy who have taken her online relationship classes. Dr. Sherman has been an expert on television shows like Channel 11, Fox 5, the CBS Early Show & the AM Northwest Early Show and a radio guest on the Curtis Sliwa show, NPR’s Cityscape, Unity Radio’s ‘The Soul-Directed Life, Pathways and others. 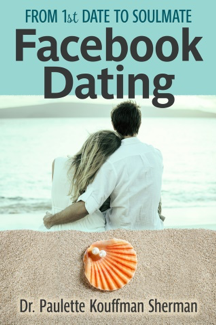 She is a Relationship expert who has been quoted in MSN.com, USA Weekend, Business Insider, NY Post, Newsweek, Lifetime.com, More, Match.com, Teen Vogue, Foxnews.com, NY Daily News, Fox Business, Crains, Better Homes & Gardens, Cosmopolitan, Reader’s Digest, Redbook, Glamour, Forbes, Woman’s Day, Metro newspapers, P & G Everyday, Men’s Health, Men’s Fitness, Muscle and Fitness, Marie Claire, Allure, Seventeen, Men’s Fitness, Bustle, New York Magazine, Woman’s Day, Web MD, Linux Insider, Business Insider, Everyday Health, Elle, Psychology Today, The London Times, Complete Woman magazine, Aaptiv, Well & Good, Fast Company, The Knot, WeddingWire, Best Life, the Huffington Post, Guideposts, Refinery29, JDate, Spirituality and Health, Mind Body Green, Om Times, Spirit and Destiny, Martha Stewart Weddings, Brides and The New York Times. Dr. Sherman lives near NYC with her husband of 12 years and their two children. Sample Radio & TV Clips on request. For media inquiries: email DrPauletteSherman@gmail.com or call 718-593-7717.